the one of RRAG FBC module. The PBN AIMA3000 RRAG series Analog Return Receiver - RFoG are designed for multi-service operators to increase network return capacity and meet an ever-growing demand for bandwidth, while minimizing physical headend space and increasing power efficiency. The RRAG is designed to plug into PBN's latest generation Advanced Intelligent Multi-Service Headend Platform (AIMA3000). The RRAG is specially designed to accommodate low power optical input as low as -28 dBm. 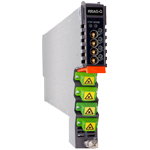 The RRAG incorporates four independent optical returnpath receivers that operate at wavelengths between 1260-1620 nm. The design allows up to 64 independent receivers in 4 RU of space. The user can set each receiver individually for manual gain control (MGC) mode. The unit has a low noise profile and high-performance amplifiers to ensure good signal-to-noise ratio as well as low distortion characteristics. The RRAG is compatible with RFoG ONU (R-ONU) as well as PBN micro nodes DPON. 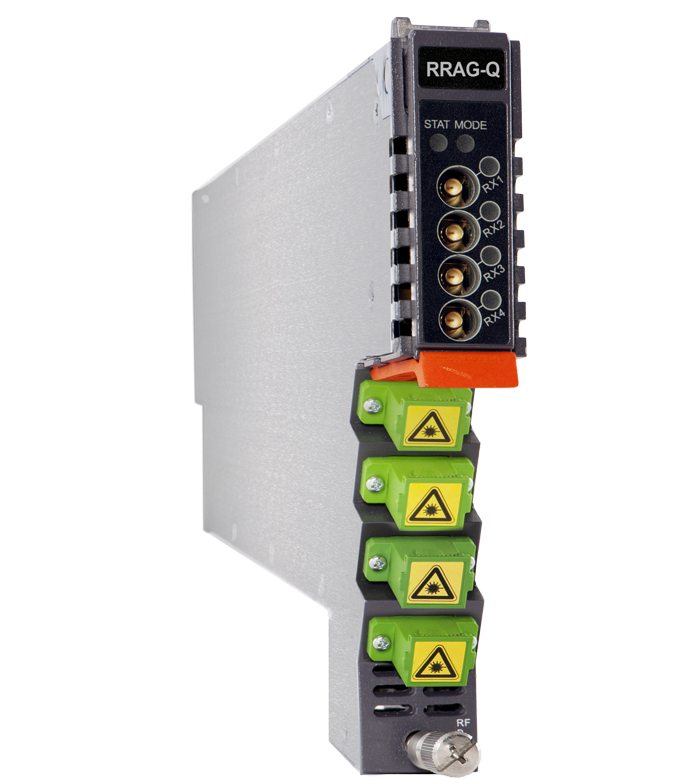 With versatile RF outputs, the RRAG is flexible for various headend configurations. With the optional embedded Full Band Capture (FBC) module, it enables the operator to capture and monitor the return path spectrum helping the operator to quickly find and locate the upstream noise and the related upstream signal levels.Advanced spectrum analyzing software is available as in a standalone version or as module within PBN’s NMSE Software suite. It also can be easily integrated into operators exist network management system. 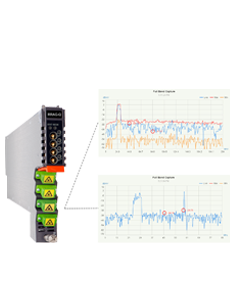 The RRAG can also be conveniently monitored and controlled through a computer connected to one of the Ethernet ports via the ASMM module. All module settings are retained in non-volatile memory to ensure trouble-free operation. Bulk updating is possible using PBN's NMSE web-based management system. (2) Measured in a typical system with a -21 dBm optical input, an OMI of 6%, and gain set to 30 dB (the stated RF output level may differ with other optical input levels). And dBuV= 60 + dBmV. (1) Option for FBC Management configurations only, if not used omit [X] when making an order.